Re: HUGE Urn Pitcher & Underplate...Hanau Silver or Much Older?? Hanau silversmiths used various combinations of pseudo and fantasy marks.Usually only one match is enough for positive identification. Most of their production is .800 unless made for export to Britain and marked as sterling (.925) import marks. There is no doubt about J.D. 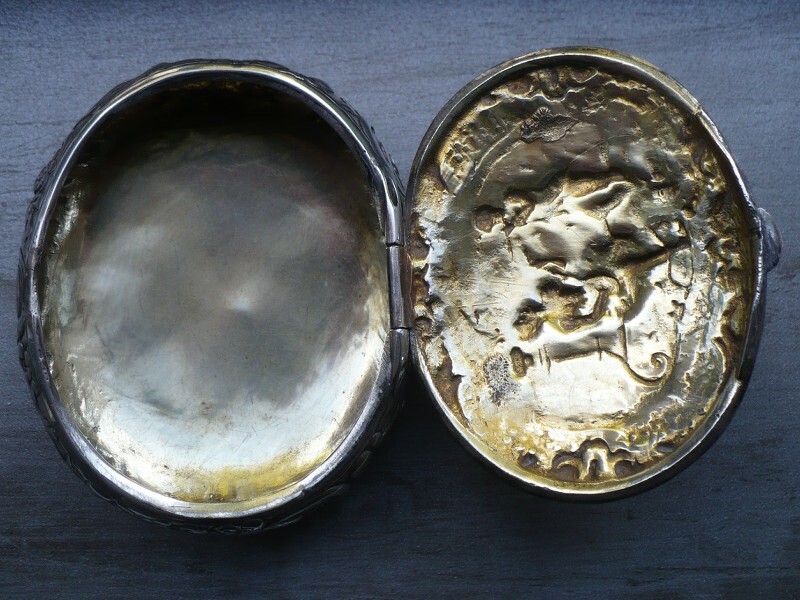 Schleissner & Sohne in this case of ``Renaissance silver``. B.Neresheimer & Sohne, Hanau mark with "KREMOS ROMA 800." Unscrupulous dealers try to exploit early partnership of D. Kremos and Sotirio Bulgari attributing ``Kremos`` pieces (especially silver jewellery) to Bulgari. 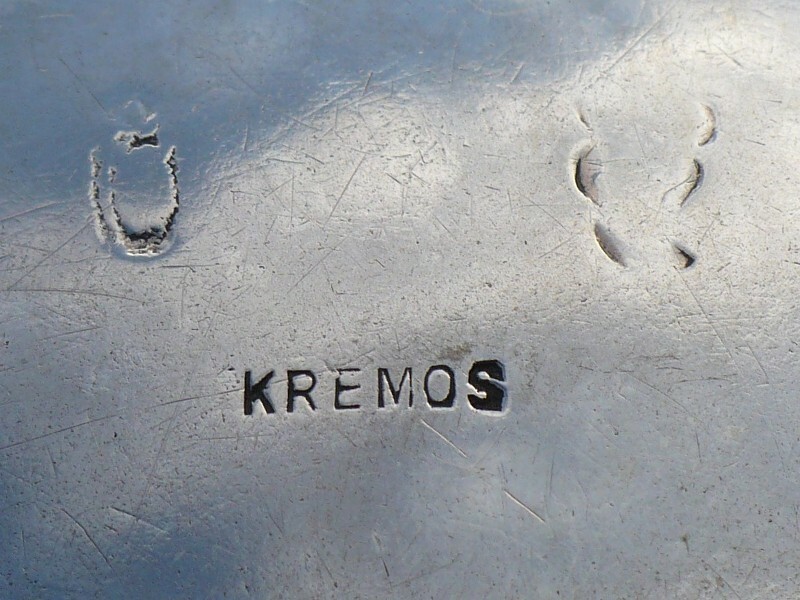 Kremos did make nice silver,but imported Hanau silver was of superior quality and heavier gauge. Very interesting! Thank you for showing me another example. Hanau silver has been very fun to learn. I appreciate all the help! Herewith my box marked Kremos. 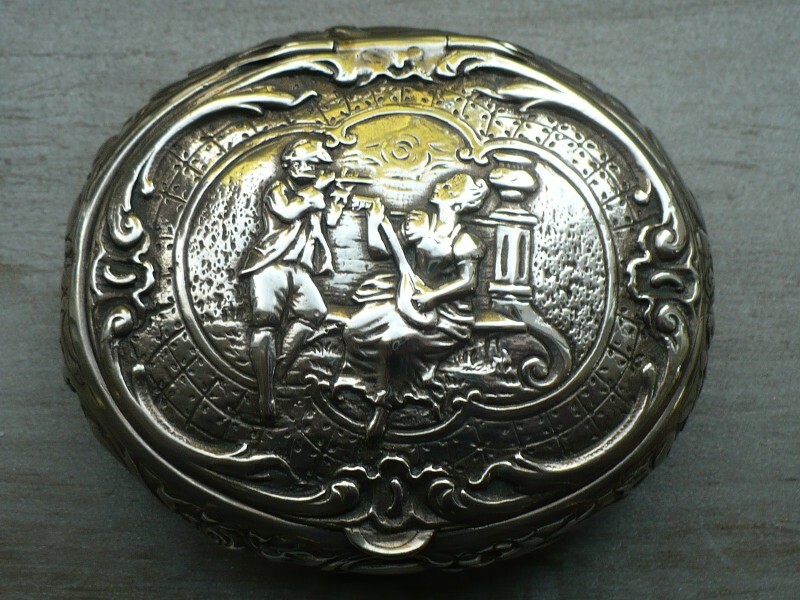 Silver snuff or pill box, oval form, cast and chased with panel depicting two musicians in a classical landscape with a cartouche border. 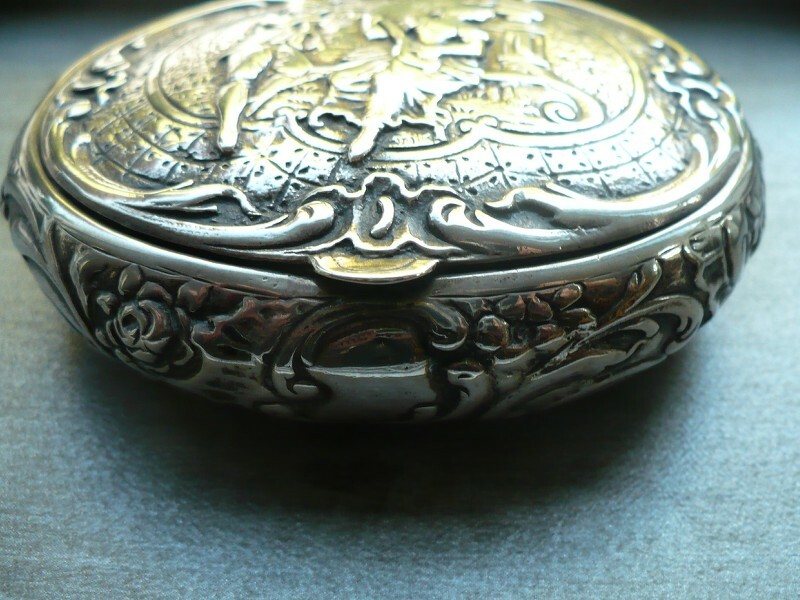 Gilt interior and hinged lid. 3"x 2,6". Tested 925/000 and marked; Kremos with unclear pseudo marks, perhaps for J.D. Schleissner & Sohne S449 & S463. Very cool! Great box, that's a piece I'd put in my collection :) Surprised that one is 925 but likely made in Hanau?